Имате въпрос към Hotel Aventree Busan? Разположен в Jung-gu, Hotel Aventree Busan е перфектно място да почувствате духа на Пусан и околностите. Само на 0 KM от градския център- това стратегическото местоположение на хотела гарантира на гостите си бърз и лесен начин за достигане до интересуващите ги точки на града. С удобното си местоположение хотелът предлага лесен достъп до всички градски забележителности, които задължително трябва да се видят. 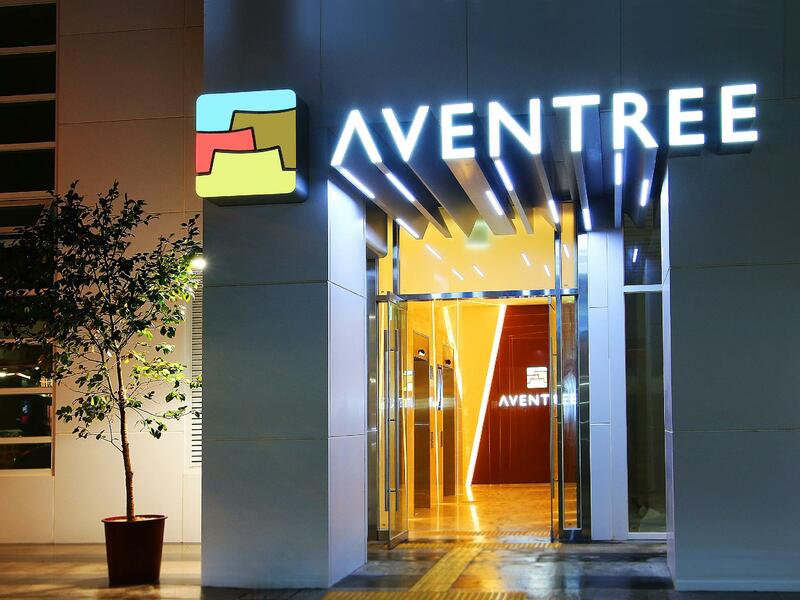 Съоръженията и услугите предлагани в Hotel Aventree Busan гарантират Вашия приятен престой. За удобството и комфорта на гостите хотелът осигурява безплатен WiFi достъп във всички стаи, ежедневно почистване, обществена пералня, достъп за инвалидна количка, 24-часова рецепция. Всички стаи се отличават с грижливо замислени удобства, което гарантира неповторимо усещане за комфорт. Независимо от това, дали сте фен на фитнеса или просто търсите начин да отпочинете след уморителен работен ден, в хотела ще намерите най-висококачествените съоръжения, такива като фитнес зала. Открийте интригуващата комбинация от професионално обслужване и широка гама удобства в Hotel Aventree Busan. Hotel’s location is excellent. Walking distance to shopping, fish market. However, our taxi driver didn’t know where to drop us as the gps showed him a street that was closed for the usual street market shopping. We ended up having to walk 10 mins to the hotel with luggage. This is our second stay in this hotel after my first trip in 2016. Everything were kept well maintained. Breakfast is good. Located in the heart of the Nampodong shopping street, very convenient for shopping and dining. The hotel is right at the heart of BIFF. It is so near the shopping and food. You don't have to worry about lugging your shopping around the nampo area because you can always go back and put your stuff in the room! Have been staying here every time I come to Busan. My boyfriend who visits me here love this hotel too! Best place with good amenities! Excellent location. Walking distance to the markets and street food stalls. 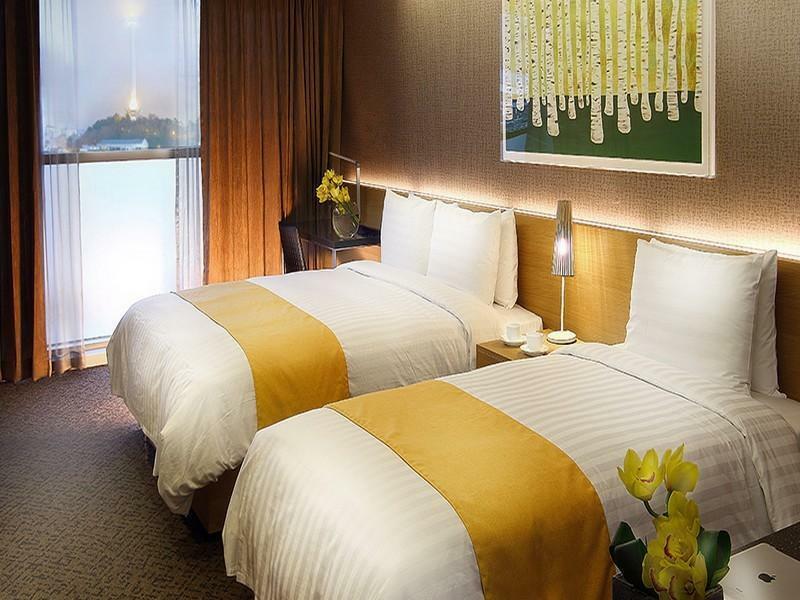 Stays here every trip to Busan but find that bed and pillow is wearing out over the years. Bed sinks in and pillow is too thin. Enjoyable stay and spacious room. Hotel staff were polite and friendly. 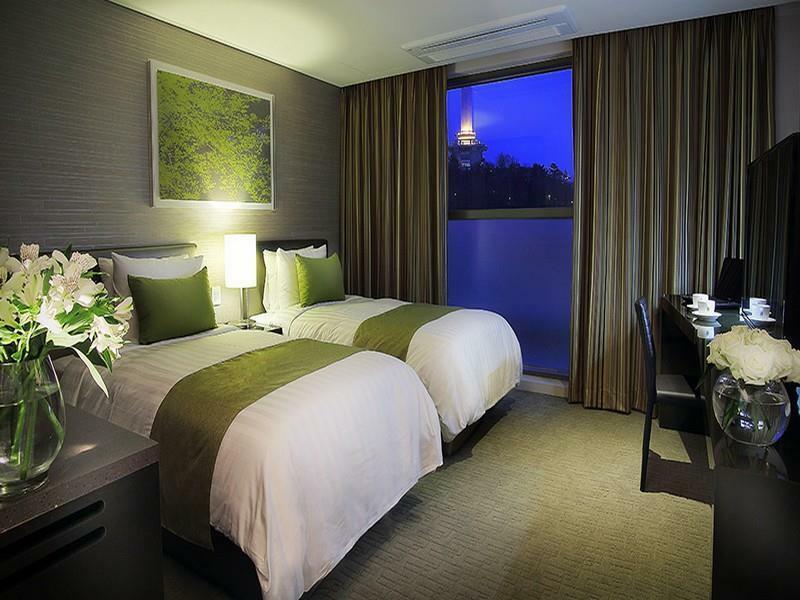 Hotel is literally located right in the heart of the bustling shopping district. You can get everything within walking distance. Highly recommended for a first time visitor to Busan. Overall it is quite good. The only flaw is the air conditioner in our room was not working well and the technician couldn't fix it and was not able to explain to us in English and just left the room like that. Luckily the hotel staff managed to arrange another room for us but it was such a hassle for us to move to another room late night. There is a site nearby the hotel and the construction work begin at 5am (or before) which make the guest can't sleep. I was disappointed on the environment this time. I wasnt sure if it's language barrier or they are plain not keen to serve. They were not rude , but was never pleasant anyways. The area is superb with many shops by the hotel. Hotel entrance may be abit tricky for us as the "small" door is located at the side of a so called shopping building. Should your taxi drop you infront of the building, the lift to the hotel is all the way inside the building. The hotel is nicely located in midst of shopping area but it is difficult to find. We stayed for 3 nights and were lost a couple of times walking to the station and back. Many little shopping alleys and lanes that look somewhat similar. Hotel provides map but this is no good for us as it is in Korean. English map had insufficient info. Directions given orally were also not good. No proper landmarks except a bakery. Further from Jalgaichi station than we thought. Rooms were clean. Towels had strong bleach smell. Temperature cannot be controlled. Need to open windows as it is too warm but this is common in many hotels during winter. Staff are helpful. They helped us order fried chicken. We liked the free use of lounge and free coffee. Everything is good, great location in the city center and close to shopping area, easy to get to several attractions. As I rarely see other service staff smile to customers, but staff of this hotel are helpful, friendly and much nicer compared to any other services in Korea. We had a pleasant stay and I recommend this hotel. Alot of food stalls within 5 mins walking distance. The place is cleaning and convenient. Staff are nice and helpful. The front desk staff help us a lot. Thank you. The location is very convenient. The room is super spacious. Had a really pleasant stay. best choice if go for shopping tour , tidy and clean with good service , but the picture hanging above the bed is a bit horrible and shower cap is written as provided but did not even asked for , no mail response for my enquiry mail sent. This is my second time staying at this hotel after 3 years. I was very impressed with their customer service and speedy check-in and check-out, however this time I am abit upset with the breakfast spread. The variety and quantity of the food provided should be re-examined. 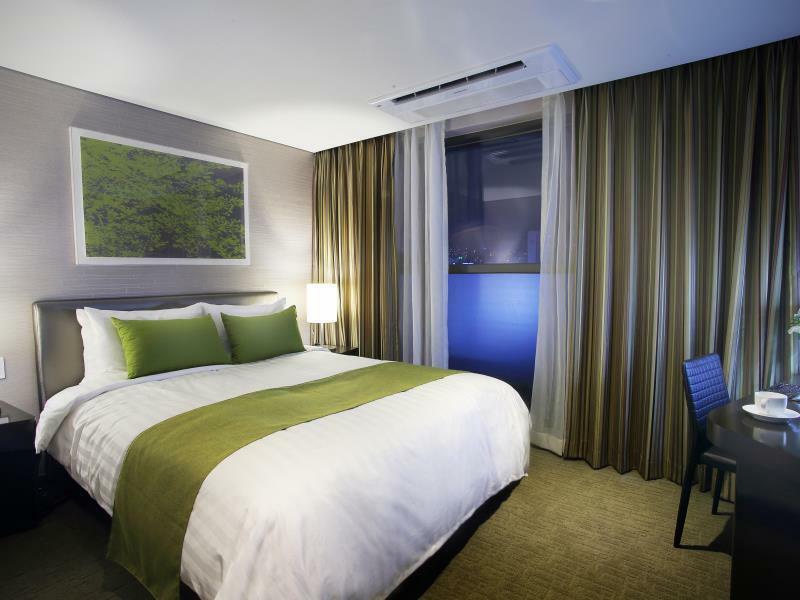 Aventree Busan is located at the hub of a busy place surrounded by shops and stalls. As I stepped into the district, this place recalled me of Myeong Dong of Seoul & Ximen Din of Taipei. Per se, it's a good 10-15 min walk to Subway and to airport bus station. I was very impressed by the size of the room, we were being allocated to a room at the far end of the corridor where we can see the Busan Tower and Lotte Mall from our window. 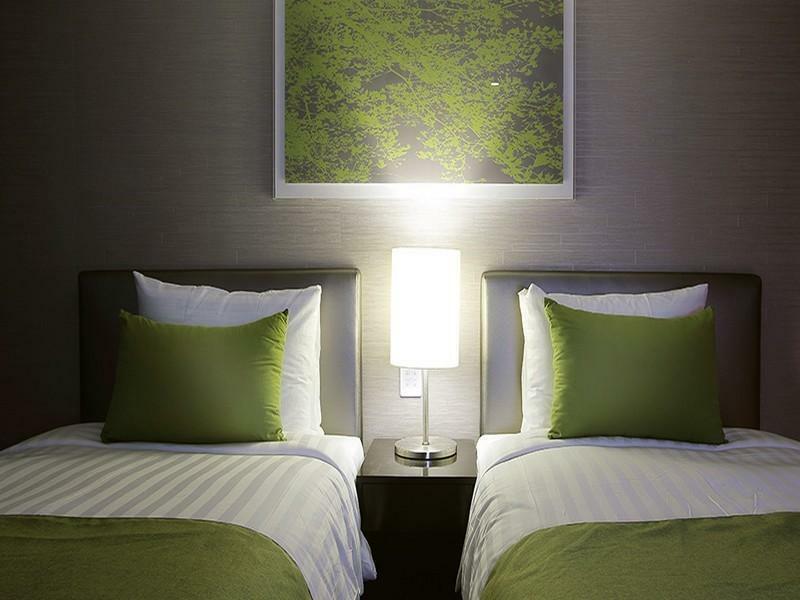 The cleanliness of the room is good and the toiletries are very good as well. I'll definitely recommend The Aventree to my friends and I will book there again for my future trip back to Busan.. Excellent location just in heard of Nampo shopping area, reasonable price and good services overall. Only 1 minor point was the house keeping, such as 1 day missing to provide the washing room floor carpet, 1 day missed to collect the rubbish, and a bit far away from subway station, but overall I would recommend this hotel to friend or I will stay here again when I travel to Pusan next time.